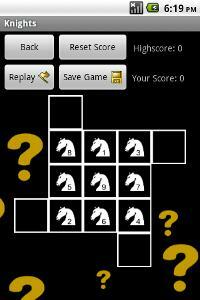 Free and challenging puzzle with chess knights. Order knights from 1 to 9 moving them accross the board. Knights move like in chess. Game comes with 5 interesting maps, high score tracking, save and load game options.